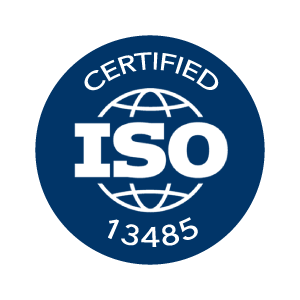 Generally the Technical File (TF) addresses product that is MDD Class I and Class IIa or IIb, while the (Design Dossier) DD addresses product that is MDD Class III. The DHF is mandated by the U.S. FDA, and describes a product through its development cycle, under Design Control, with its output being the DMR (Device Master Record) which defines the product as currently marketed. However, the EU (European Union) under the Medical Device Directive (MDD; EU Council Directive 93/42/EEC) and forCE-Marking, requires a file describing the product at a point in time, i.e., as currently marketed in EU / Common Market countries, similar to the DMR, with elements of the DHF, such as risk management documents, and clinical data. Newer EU regulatory guidance documents are moving the TF/DD more in the direction of the DHF. However, a review of both descriptions above shows much commonality already, allowing the development of both files (DHF and TF/DD) almost concurrently, while supplementing the DHF with the DMR for a current TF/DD. 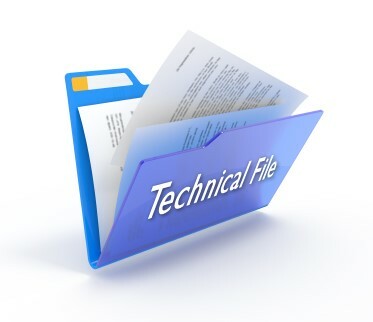 The term Technical File identifies a collection of all the documents that involved the design, construction, validation. In it are included structural calculations, the characteristics of materials, design drawings, plans, design criteria, clinical evaluation, risk analysis.